 Spark's shrewd publishers simply add ten new stories--roughly 60 pages--to her last Collected volume of 1985, with the new work including mostly short, clever bits and bagatelles, a grab-bag of tales seemingly occasioned, more often than not, by a word or phrase. ``The Things About Police Stations,'' for example, spins a little nightmare from the phrase ``unspeakable crimes.'' And ``The Quest for Lavishes Ghast'' chronicles a history of mishearing. The ``pearly shadow,'' in the story of the same name, takes on human form when it turns into a test psychiatric patient who's threatened by an analyst's prescription. A couple of whodunits, a gothic case of disembodiment, and a complaint from two characters from an earlier story round out the collection. ``Open to the Public,'' a sequel to a much earlier piece, further bewails the tribulations of literary fame and those who feed off it. In short, the slender new stories don't much enhance the 1985 volume. 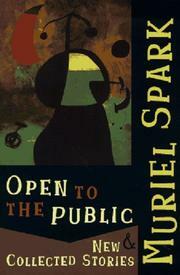 By contrast, Spark's earlier tales included here are pointed, disturbing, and distinctly original.